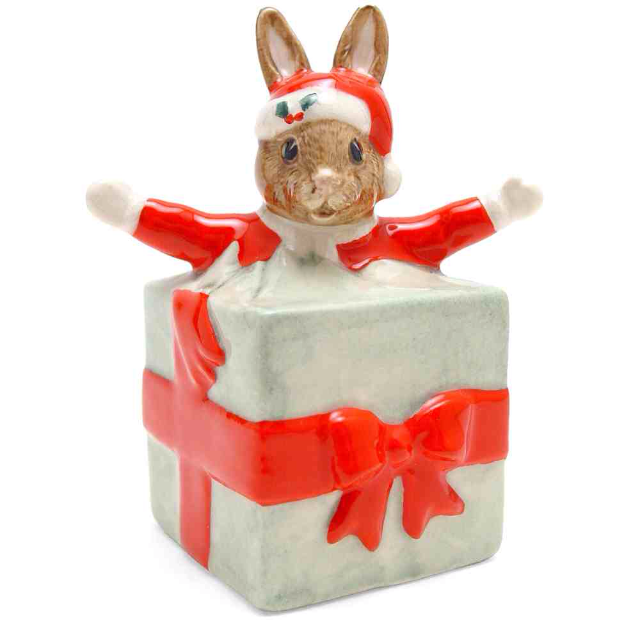 Wishing you a very ‘Bunny’ Doulton Christmas! 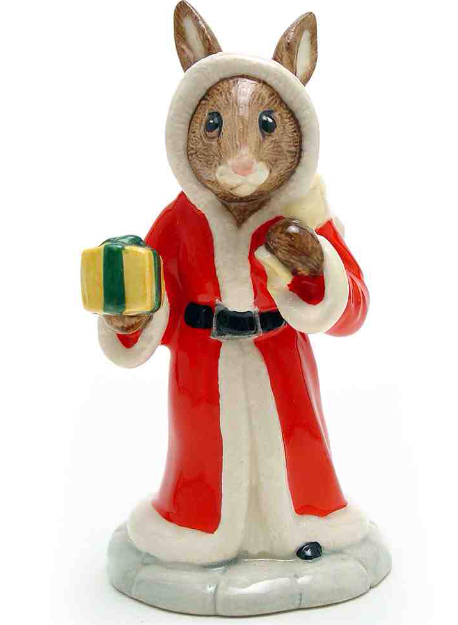 As one would expect with such a universally popular product, Christmas is extensively celebrated in the Bunnykins series. Figures including Winter Lapland Bunnykins, Christmas Morning Bunnykins and even a Bunnykins Carol Singer musical box have been introduced and the series extends to include tree ornaments and even a festive tableau Merry Christmas DB194! Perhaps you have your own Doulton Christmas display? 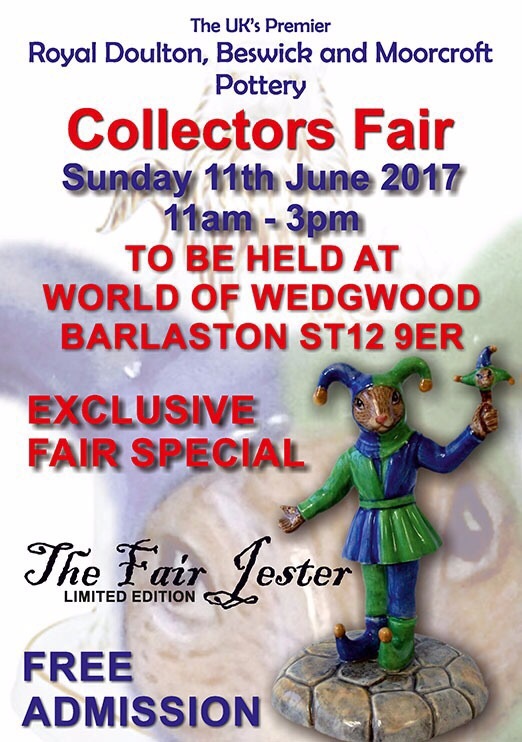 If so, why not share it in the Facebook group Doulton Collectors Club? Thanks as always to Seaway Chiba for use of their pictures. 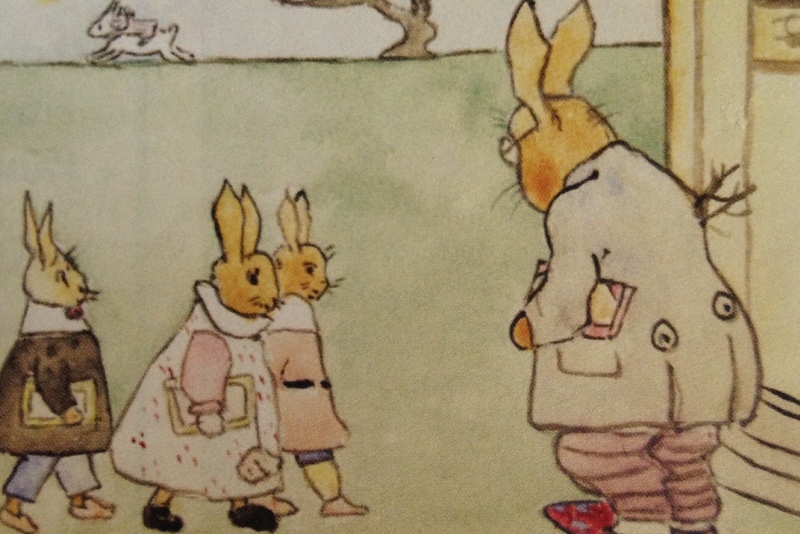 Bunnykins – an Easter treat! 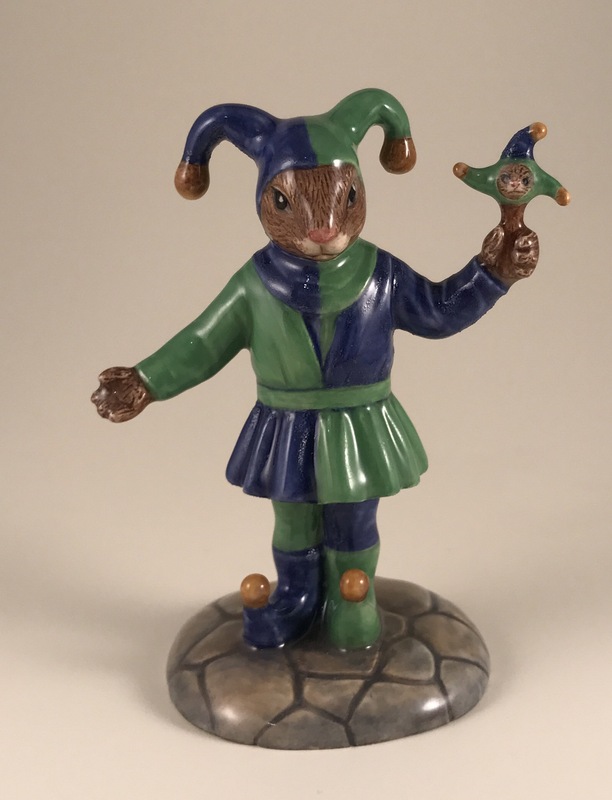 With so many collectors of Doulton’s famous Bunnykins nursery ware out there, it is hardly a surprise that it reamins a popular line to this day. 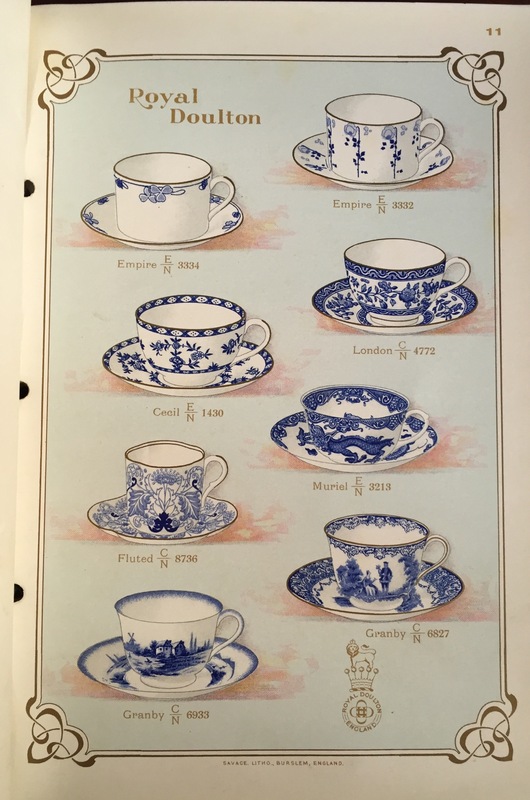 Originally created by Barbara Vernon (she took her mother’s surname when she became a nun) in 1934 and famous patrons of this ware have helped perpetuate its success. 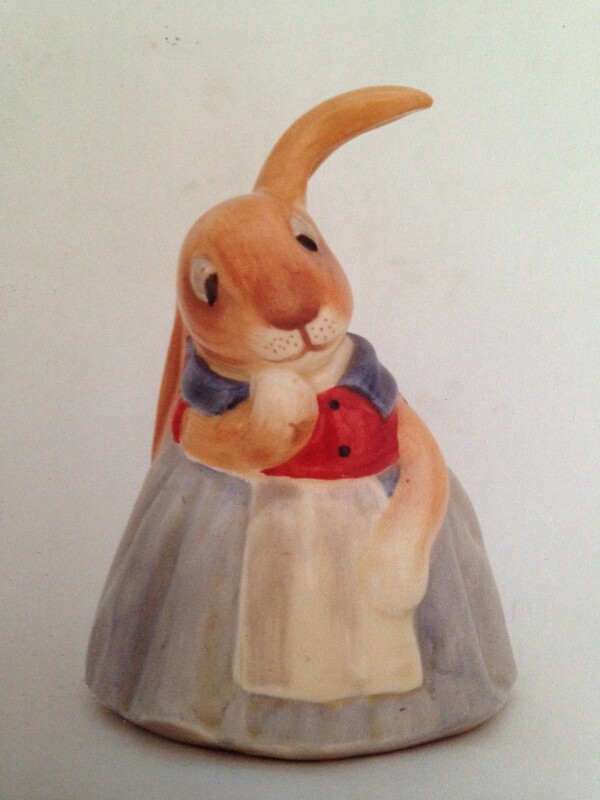 In 1937, the late Queen Mother first saw examples of Bunnykins and since then it has been a regular in Royal nurseries around the world. 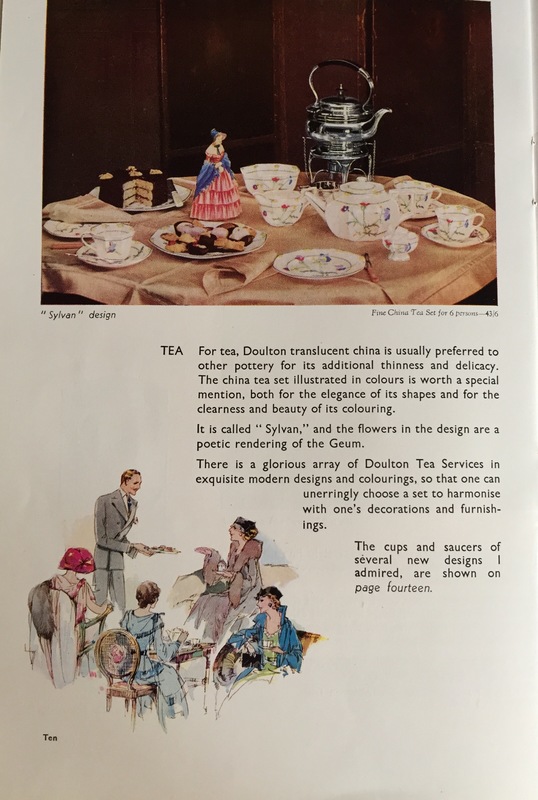 Interestingly, Barbara was actually the daughter of Cuthbert Bailey, the manager of Doulton’s Burslem factory and hence the Doulton connection. 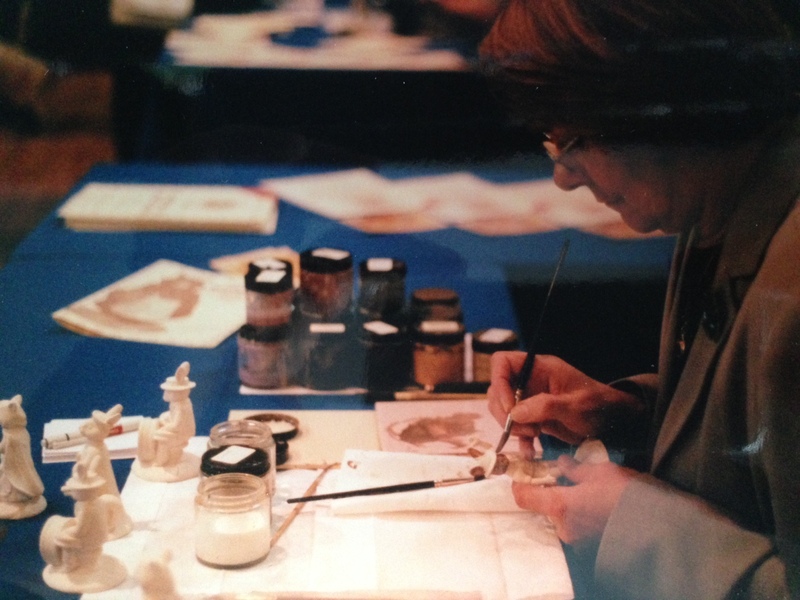 Due to failing eyesight Barbara’s creations for Doulton curtailed in the late 1940’s and Walter Hayward took up the reigns and designs of this most famous nuersery ware continue even to this day. 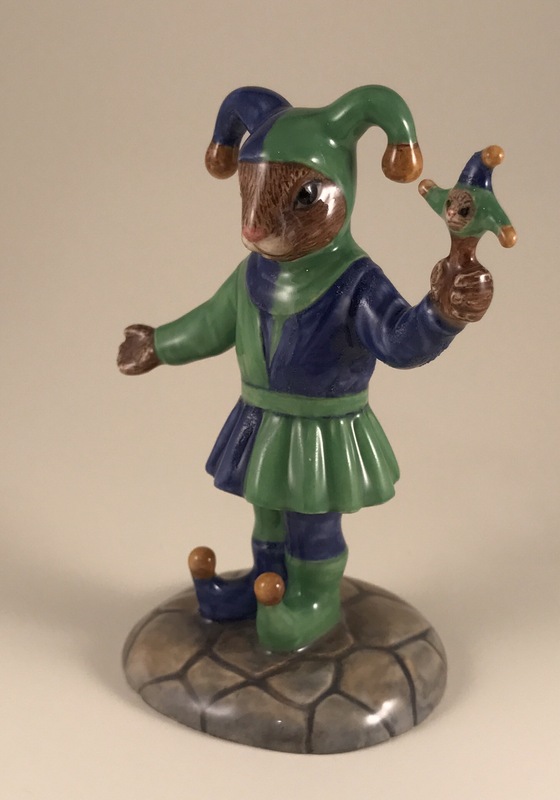 At the most recent Doulton fair here in the UK, once again there was a special limited edition piece, a Bunnykins figure commissioned by Ceramics International for the event and of course it was another sell out! Here you can see a picture of the various backstamps used on Bunnykins over the years. 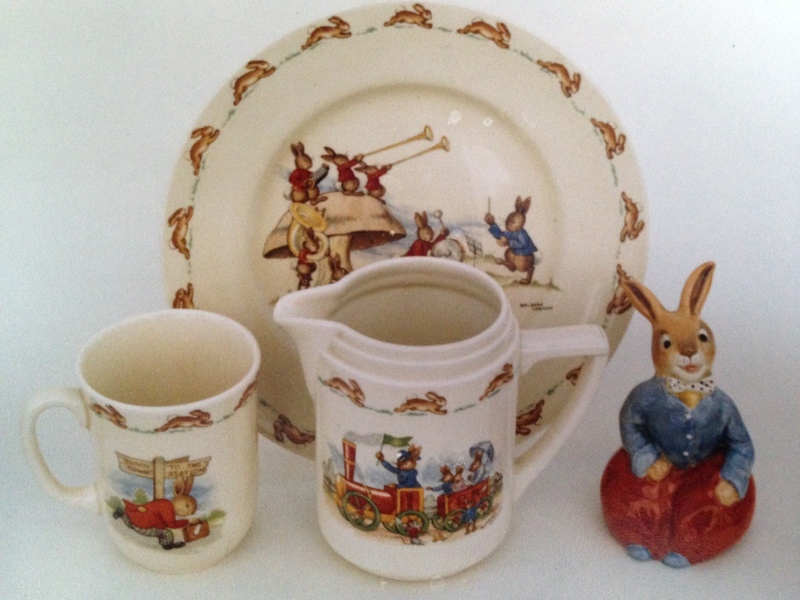 Of interest to collectors of nurseryware itself are the signed pieces by Barbara Vernon. Walter Hayward, rather than use a facsimilie signature used a mouse to indicate his designs. 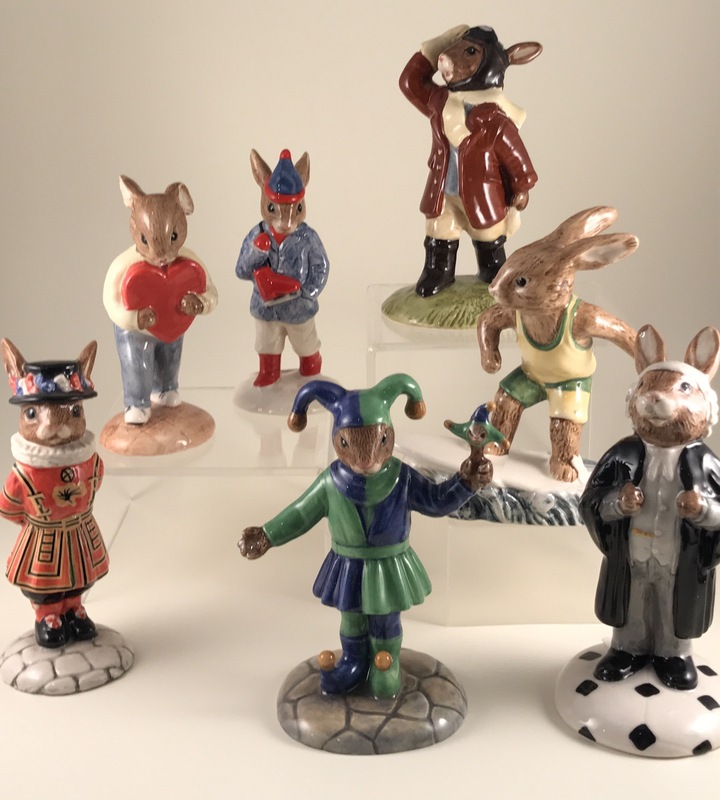 The range of early Bunnykins figures are charming with their doleful eyes and there is an early range of tableware with modelled heads to compliment these figures. 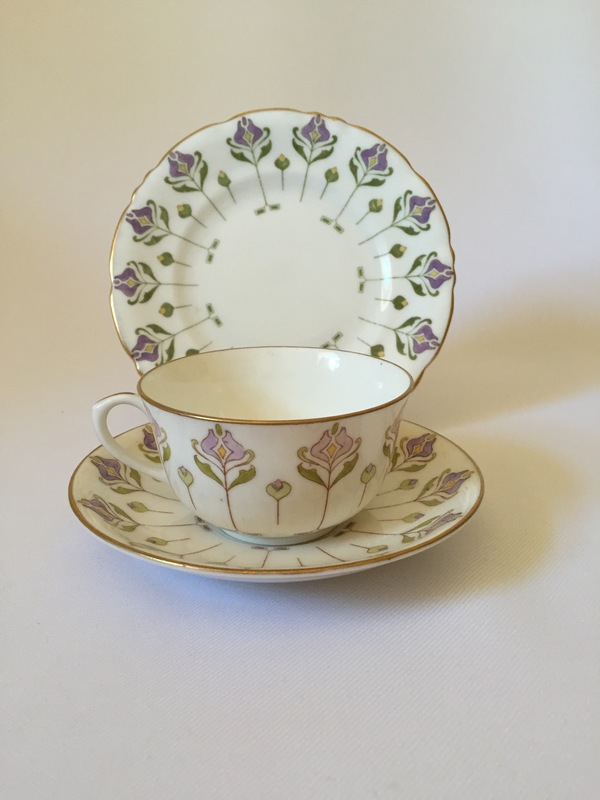 These modelled pieces of tableware are extremely rare and very popular with collectors today. 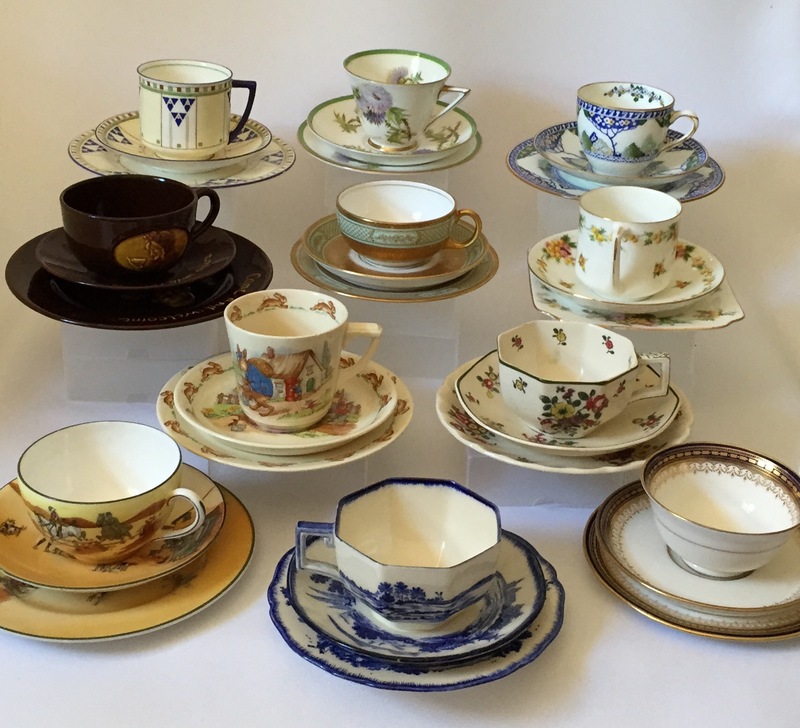 As with all things Doulton colourways and prototypes dominate this field of collecting. 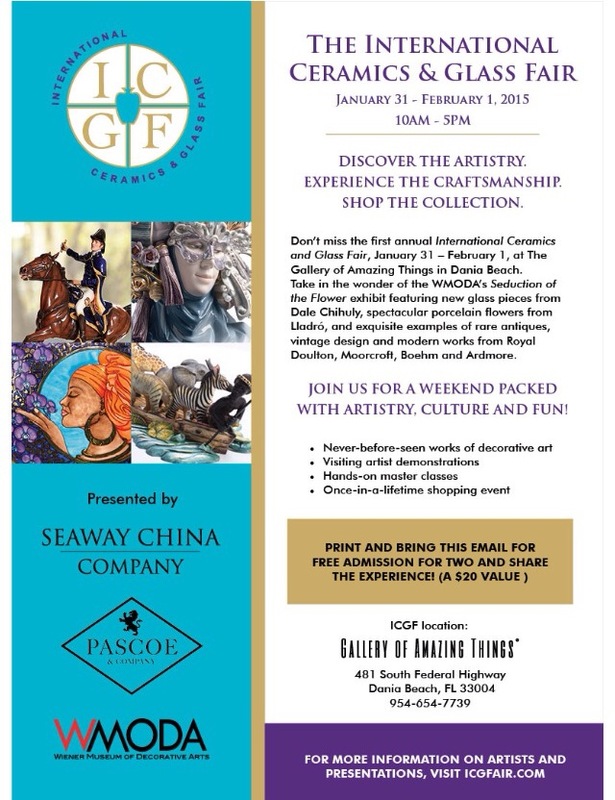 Yet, there are many variations to be found more modestly, especially when special limited editions have been and are made as commemoratives and also for fairs around the world. So happy hunting and happy Easter! !